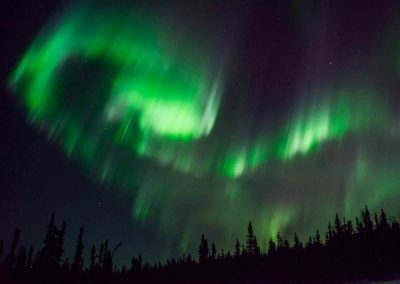 Venture 20 miles Northwest of Fairbanks to Murphy Dome for unobstructed views of the Northern Lights. At 2,890 feet, Murphy Dome is 2,500 feet above the city of Fairbanks. At this elevated viewing location, you can gaze out over the treetops and take in 360 degree views of the vast night sky. Stay warm in the van, or hop out to breathe in the fresh air during a night spent star-gazing and marveling at this natural phenomenon. 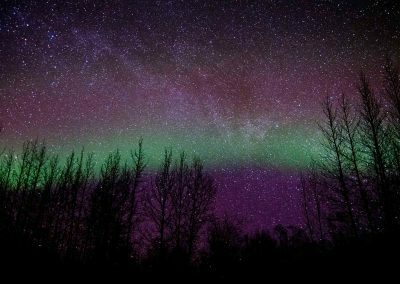 Venture out of Fairbanks to Murphy Dome for unobstructed views in an ideal spot for viewing the Northern Lights. Stay warm in the van, or hop out to breathe in the fresh air during a night spent star-gazing and marveling at this natural phenomenon. This Northern Lights Tour takes you away from city lights, and is often above the temperature inversion during cold spells. Murphy Dome is located 20 miles Northwest of Fairbanks, Alaska. At 2,890 feet, Murphy Dome is 2,500 feet above the city of Fairbanks. It is also one of the highest peaks in the Fairbanks area. At this elevated viewing location, you can gaze out over the treetops and take in 360 degree views of the vast night sky. Get picked up from your hotel in Fairbanks and head out of the city. Escape the city light pollution as you make your way to Murphy Dome. The best time to start your tour in between 9:45 – 10:15 p.m. Our guide will bring you back to your hotel around three o’clock in the morning. Watch for shooting stars. 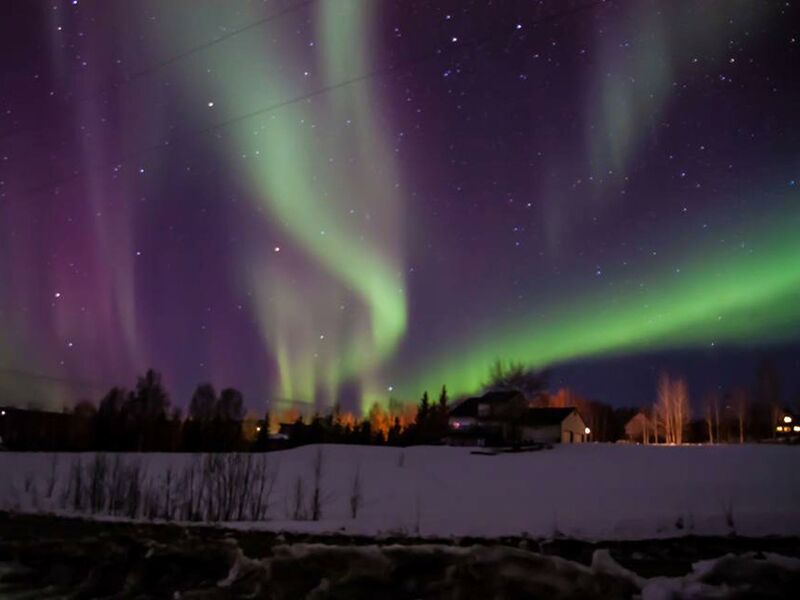 Chat with your guide about the science behind the Northern Lights. Set up your camera equipment to take photos of the aurora as it dances. If you get chilly, you can cozy up in the van and wait for an unforgettable kaleidoscope of color. Prefer viewing the Northern Lights from inside a cozy cabin with some hot chocolate? Check out our Aurora Viewing Lodge Tour! Note: The top of Murphy Dome, our preferred viewing location, does not have public access restrooms. 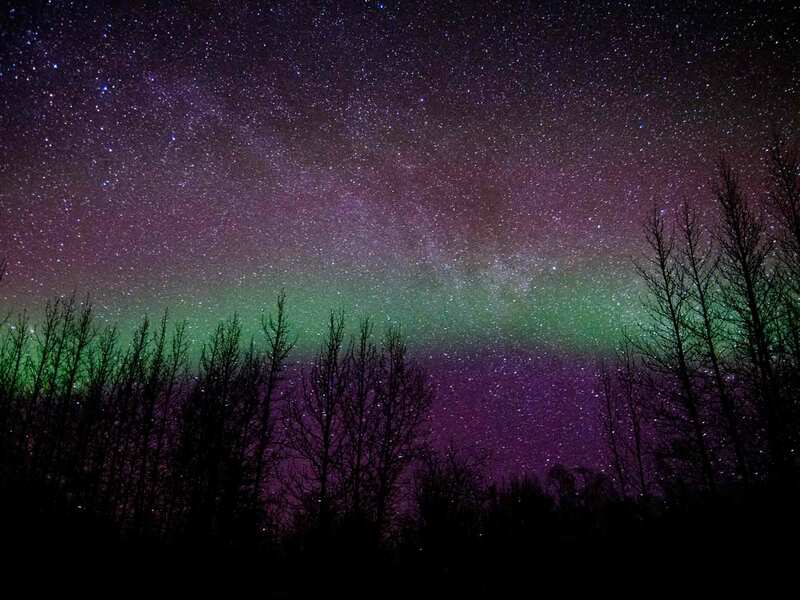 Airlink Shuttle and Tours cannot guarantee that the Northern Lights / Aurora Borealis will appear on your tour. The Fairbanks Convention and Visitors Bureau estimates that guests who stay in Fairbanks three or more days have a 90% chance of seeing the Northern Lights. 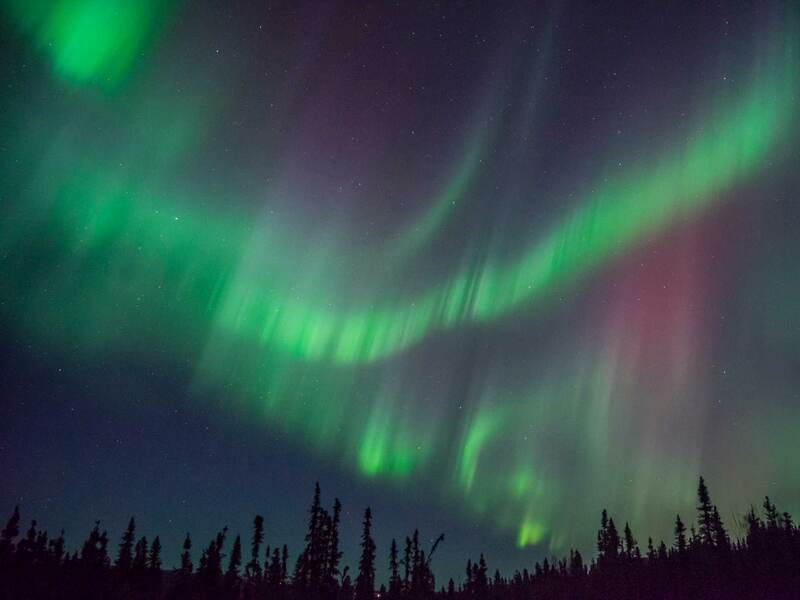 Let Airlink Shuttle and Tours maximize your chances of seeing nature’s light show.